Genetic testing goals will vary from person to person. Since genealogy is considered a hobby, finances will be a factor in decisions. 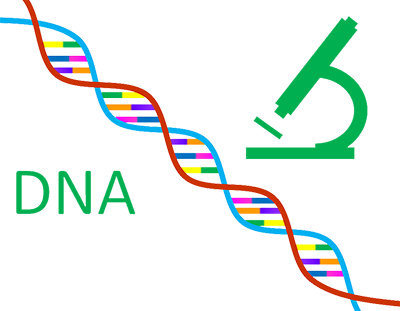 We will focus on Y DNA goals in this article. Autosomal and mitochondrial will be addressed in later articles. Family Group: STR comparison of 12 and 25 markers will not always place a participant in the correct family group. Family groups are being defined by haplogroup or lowest tested single nucleotide polymorphism. [SNP] A 37 marker test is usually all that is required to match your sequence to the correct family group through STR comparison. In a few cases I have recommended upgrade to 67 markers to prove relation to family group. I have recommended only one 111 marker upgrade for this purpose. Upgrades cost money and we attempt to place you in a family group at the lowest cost possible. If this is your only goal you are finished. Sequence comparison will show if you are in parameter for haplogroup to other SNP testing participants. Lowest Known Branch: This requires SNP testing. Lowest know branch is in reference to phylogenetic order in ISOGG and FTDNA SNP haplotree. Currently my family group' lowest know branch is R - Z31 aka Z7. Any other person in my family group can order this one SNP test and match me on the haplotree. The genetic relation is now confirmed as it is proven by the presence of this SNP. Next Generation Sequencing: This is where it gets fun. Next generation tests such as Big Y or FGC Y Elite test beyond known branches. Big Y covers about 41,800 SNP' and FGC about 53,350. Since I have tested Big Y, matches to men outside of surname have identified 10 new SNP' below the Z7 level and above Z8. This has produced a tiny subclade named FGC17344 with only five surname sequences in parameter of positive match. FGC17344 will eventually be placed in the ISOGG SNP haplotree. I have 11 remaining "singletons" or unmatched novel variants. As men from my family group test next generation, many of these singletons will be matched and produce a new family group defining SNP. Pursuing True "Terminal" SNP: I never liked the term "terminal" SNP: it suggests the end of the line or lowest possible SNP. The definition has caused much confusion and made many reluctant to pursue further testing. As demonstrated above, I am already 10 SNP' below my family group' "terminal" SNP as defined by FTDNA. I prefer lowest know branch as the definition for family groups. Lowest know branch is a group thing; terminal SNP is a personal thing. As demonstrated above I have 11 remaining singletons. My true terminal SNP is among them. Terminal SNP occurs if or when only one singleton remains. Private SNP: A private SNP is defined by the International Society of Genetic Genealogy as follows: either a binary polymorphism* observed only once, or multiple times with the associated STR profiles showing less than 15% of markers have diverged. A private SNP occurs at such a low level it should not be used to define a haplogroup. Thus it becomes a private SNP for a family and sometimes an individual. Because of the abundance of alternatives now available, only single nucleotide polymorphisms (SNPs) are being accepted, and not insertions or deletions (indels) for new additions. In exceptional cases other variants may be considered for inclusion on a case by case basis if they can be clearly demonstrated to have equivalent properties to SNPs, but the burden of proof required will be much higher and at the discretion of the committee. Think of a haplogroup project as an extended family group. Where do you and your family belong in the human SNP haplotree? How many families are out there distantly related to my own? For example, some of our members are P312+ >L21+ > DF13+ and Z253+. There is a haplogroup project for P312, L21 and Z253. One may join P312 with just their STR sequence. To join L21 or Z253 a positive SNP test at these levels is required. Some of our members are P312+ > L21+> DF13+ > DF49+ descending to subclades below R-M222. They would not be eligible for the Z253 project but could join P312, L21 and DF13. There are haplogroup projects for DF49 and R-M222. This demonstrates the importance of SNP testing. Since there are 12 brother Clades directly downstream of L21, your sequence may appear similar to hundreds, if not thousands, of participants. Your placement in haplogroup projects will depend on which mutation or SNP is present in your Y DNA. Good haplogroup projects have active administrators and co - administrators. They are available to advise you on SNP testing and placement of your sequence in the haplotree. Some my post removal or placement on an inactive list if recommended tests are not ordered. Haplogroup projects are where new discoveries of SNP' occur. Two or more must match in a haplogroup project for consideration of addition to the ISOGG SNP tree. Choosing the right haplogroup project can make a huge difference in your journey and exploration of genetic relationships. Several of our Clan Forrester family groups are currently in this process. As we travel back in time all of us will share a common ancestor. As I have employed P312 and U106 in examples our common ancestor was P311 man. Both of these large subclades emerged from one man born thousands of years ago. As we descend to lower subclades we move forward in time. SNP testing will eventually move us forward to a point in time when men began to take surnames. As we explore the shared SNP' with other surname groups we can estimate the time we departed genetic relations with them. This gives us a clearer picture of our own family migration routes. It covers the span of time from where we came from to where we are now.